Many of the drugs used to fight cancer go after rapidly-growing cancer cells but also wipe out other rapidly-growing cells, which includes hair cells. That means some cancer patients face hair loss ranging from thinning to complete baldness. The amount of hair that falls out depends on the medication you are taking and the dose, and it may not be limited to the hair on your scalp. Some patients experience the loss of eyelash, eyebrow, armpit, pubic and other body hair. Regrowth usually happens within three to 10 months after treatment ends, but many patients have hair of a different color or texture, at least at first. Cancer caregivers encourage patients to plan ahead regarding hair loss and do things that make them feel comfortable before, during and after cancer treatment. This may mean planning for a head covering, whether wigs, scarves or hats. * Cryotherapy or scalp hypothermia uses ice to lessen the blood flow to your scalp during chemotherapy, so the medications are less likely to have an effect on your scalp. In addition, patients report headaches and a feeling of uncomfortable cold during cryotherapy. * Minoxidil – the drug marketed as Rogaine for pattern baldness – is sometimes used to help speed up hair regrowth. Cancer experts say it does not prevent hair loss. To minimize the frustration and anxiety that may accompany hair loss, hairdressers suggest a gentle touch. No bleach, colors or perms, which can weaken hair. No blow dryers, curling irons or hot rollers. 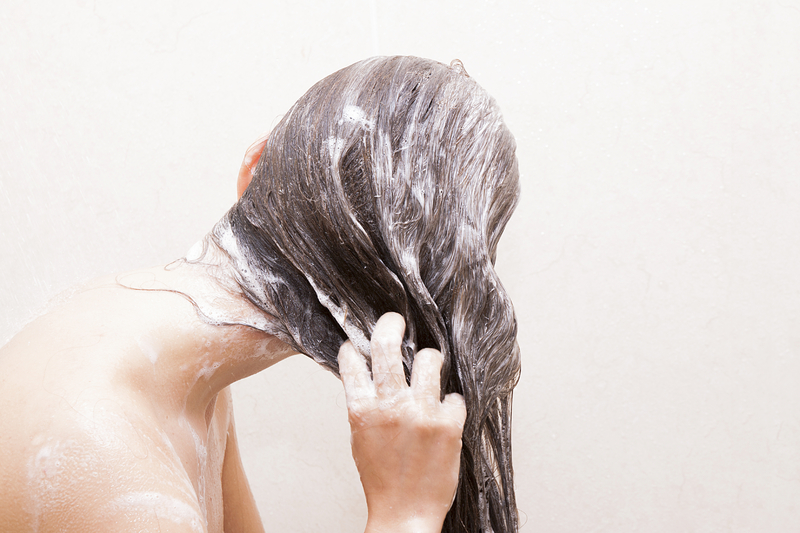 Use a soft-bristle brush, and wash your hair only as often as needed, using a gentle shampoo. If you opt to shave your head, be prepared to protect your scalp from the sun and cold air with sunscreen or a head covering. The Upstate Cancer Center features a boutique called Dazzle in its lobby where head coverings are sold for children, men and women. Owner Lois Ross says some people seek wigs for everyday wear, and others want something to wear just for special occasions. Some prefer hats. She says one popular item is a cap with hair, which can be put into a ponytail or left long. This entry was posted in cancer, women's health/gynecology. Bookmark the permalink.